1 Who is actor Gale Harold from “Grey’s Anatomy”? 5 What is Gale Harold’s Net Worth? Who is actor Gale Harold from “Grey’s Anatomy”? Born Gale Morgan Harold III on the 10th of June 1969, in Decatur, Georgia USA, Gale is a 48-year-old Caucasian actor and producer, perhaps best known for appearing in the main male role in 83 episodes of “Queer as Folk”. He has had a number of other roles in various films and TV shows, throughout his career in the often lucrative acting profession since 2000. Raised in the said part of Atlanta, the middle child with a younger brother and an older sister, Harold had an engineer father and a real-estate agent mother, both of whom were also devout Pentecostals, which is a renewal movement of Protestant Christianity. As such, Gale grew up in a strict religious environment, and was made to regularly attend church by his parents. However, he left the church on his own accord when he was 15-years-old. As per his education, he first attended South West Dekalb High School, and after that The Lovett School. At some point before matriculation, he received a soccer scholarship, and went on to further his education at the American University in Washington D.C., from where he graduated with a Liberal Arts degree in romance literature. Later on, he also studied photography at the San Francisco Art Institute in San Francisco, California. Unlike most actors, Gale didn’t actually plan on pursuing an acting career – he worked as a bartender, waiter, and an apprentice at a motorcycle mechanic workshop with a construction company. While employed there, he met Susan Landau, the daughter of the actor Martin Landau, and in 1997 she suggested he should try acting. Subsequently he passed an audition and was cast in his theatrical debut as Bunny, in the show entitled “Me and My Friends.” He later made his film debut in the movie entitled “36K” in 2000, and in the same year appeared in the TV series “Queer as Folk” as Brian Kinney, his most significant role thus far, and in which he stayed for 83 episodes, from 2000 through 2005. Since this was a lead role, Gale had a quick rise to stardom, concurrently landing another six minor roles. Then between 2005 and 2008, he landed ten more lesser roles, prior to being cast in 15 episodes of “Desperate Housewives” as Jackson Braddock, meanwhile also having starred in two episodes of “Grey’s Anatomy” as Shane. In the following ten years, he was cast in two more TV shows and numerous films, all in lesser roles. He is currently involved in the production of a short film. As for Gale’s romantic involvements, there are a few details circulating online concerning this part of his life. 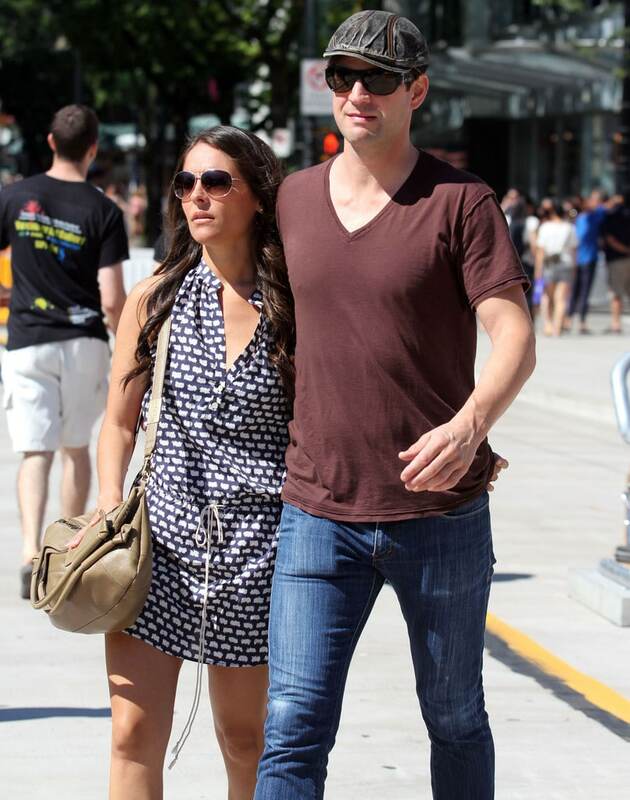 It is known that he dated the actress Yara Martinez in 2011, then Danielle Saklofsky, with whom he apparently had a very tumultuous relationship, as Danielle ultimately filed for a restraining order against him in 2014, but Gale went on to ask for the same thing in court, claiming that Danielle had assaulted him on multiple occasions, attacking his head with a mason jar of coins, and later assaulting him outside a restaurant, shouting ‘You can’t leave me, I will destroy you!’ The court answered these pleas by giving them both a 100-yard restraining order against one another. At the moment, it doesn’t seem that Gale is dating anyone else. Ultimately, there have been certain rumors about his sexual orientation, as he is a known LGBT community supporter, and was also cast as a gay character in “Queer as Folk.” Gale thus made a video explaining that he himself is straight, but that some gay people are close to him. What is Gale Harold’s Net Worth? Have you ever wondered how rich Gale Harold is, as of mid-2018? According to various authoritative sources, it has been estimated that the current total of Gale’s accumulated wealth is close to $1.5 million, largely aided by his successes in the acting industry, while the greatest contribution has come from his long-term screen presence in “Queer as Folk.” As his career continues to develop, the said amount can be expected to increase. Concerning the physical attributes of the actor, it is reputed by various sources that his height is 6ft 2ins (1.87m), and his weight 172lbs (78kg) at the moment. The circumference of his biceps measures at 15 inches, his waist at 33 inches and his chest at 40 inches. His hair is dark brown and his eyes are deep hazel, while his body shape is generally described as fit. Due to the major influence of social networks, it is nowadays a regular thing for active actors to nourish a close and active relationship with their fans, for the sake of increasing the popularity of the titles they’re working on, and thus their own net worth. It looks like Gale himself is an active subscriber to this celebrity trend, as he is present on most popular social media networks, save for one. His Facebook page currently enjoys over 1,000 followers, while his Twitter account boasts a significantly higher 11,000 fans. It doesn’t look as though Gale has an Instagram account at the moment, or it is not accessible to the public.